Dementia is a term that refers to a decline in mental ability. It is usually severe enough to affect an individual’s daily life. It is not a specific disease but a general term that describes various symptoms. Some of those symptoms include impairments in memory, communication, and thought. When a senior citizen has dementia, and cannot receive proper care while staying at home, it may be best to consider long-term senior care options to look into dementia care facilities near you. Assisted living facilities that contain memory care sections are excellent for senior citizens who are not yet ideal candidates for nursing homes but moving to assisted living facilities must be done carefully. Short term memory changes - this is an early sign where seniors can remember things that took place ages ago but not what they ate in the morning. They may also have difficulties remembering where an item is or the time they went into a specific room. Communication difficulties - dementia patients, may have challenges when having a conversation with other people because finding the proper words to express themselves becomes problematic. Personality shift - the condition also affects judgment where people go through various mood changes. A once outgoing person may suddenly become very shy. Repetition and complications completing tasks - a high percentage of individuals who have dementia tend to be quite repetitive. A person may do things like taking a bath seven times a day, walking round in circles, or just telling someone the same story over and over without realizing what they are doing. Confusion is also common, and many have glitches finishing regular tasks. They may also struggle to follow new routines or learn something new. As mentioned previously, many assisted living facilities feature memory care units that specialize in taking care of patients who have memory impairments for the older adults who cannot reside in the standard senior housing units they offer. Moving the elderly, especially the ones who are refusing and not willing to move to assisted living may not be the smoothest of transitions. Some retirees may not like the idea of going to a new place and starting life all over again in their older years. A majority argue that they want to retire in their homes (in such case, finding home care agencies near you may also be a good option) and do not want to hear about any other options out there. Even when your parent who has dementia is willing to move, moving can still have various effects and may still come with negative emotions such as sadness, feeling of loss, and guilt. As children and caregivers of the elderly, responsible for caring for aging parents, the responsibility of moving a parent with dementia to assisted living is a serious one. Here are some tips and pointers that will help make the move to assisted living for a parent who has dementia as straightforward and easy as possible without turning the parents against their children. Never go home one day and tell an aging parent that their time at home is up and it is time they move to an assisted living community. They may receive this with plenty of resistance and strong resentment. Take a different approach and start a friendly conversation with the retirees. Casually mention that there is a great option out there they can explore to make their lives more fulfilling and fun. Drop the subject if they are not on the same page today and wait for another opportunity to bring it up. Some retirees may resist the idea vehemently because they have the wrong idea of what assisted living homes are. Many aging parents may think that assisted living facilities are institutions where they will not have any freedom and end up feeling like they are prisoners. It can help to have some pamphlets of some top-notch communities (either in print or online) so that your dementia-afflicted parent can have an idea of what they will be getting into. When dealing with a close-knit family, everyone should voice their opinions on the matter. Do not forget to talk finances with everyone to know how your parent will afford their new lifestyle. People with low-income can seek out various financial aid opportunities to help cover some of assisted living costs. Talking to your parents can reveal information about their retirement savings to make plans accordingly. Give it the best shot to make sure that the decision to move comes from the adult who needs memory care and not their kids or siblings. Let them know that they can try living in the assisted living communities, and if they do not like it, they can move back. If it is still too painful to convince them or change their minds, get help from an expert who could be a social worker to let your parent with dementia know the benefits that await them in assisted living, including social opportunities, safety, recreation and dining. The Alzheimer’s Association is another excellent resource that points out suggestions on how to deal with such a difficult scenario. Once aging parents agree to try assisted living, do not disappoint them by showing them an unsuitable environment they will hate from the very first second. Take time to find out all available options and select the very best choice you feel will make your dementia-afflicted parent happy. 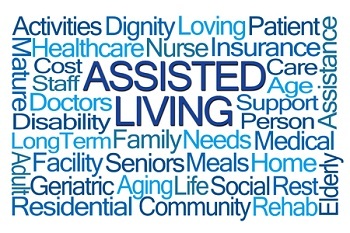 Remind them that assisted living facilities are nothing like nursing facilities near you – they offer many recreational, social and dining opportunities and are more like retirement communities than your typical old-age homes. Do not just trust the residences’ advertising. It is essential to schedule tours to multiple assisted living facilities and visit them before the aging individuals will settle in to see first-hand if they are the best choice. Interact with directors, staff, and residents as well to get an accurate picture of what goes on daily. Visit several times before deciding the memory care community where that will provide the best dementia care for your parent. After confirming that the community will be a great fit, let the senior also visit so that he or she can see the environment where they will be spending a considerable amount of their golden years. Knowing that they are part of the decision-making process helps retirees to be confident with leaving their previous lives behind and starting a new one in their new assisted living homes. Unless moving to assisted living is an emergency, or the aging parent is eager to move out as soon as possible, give it time. Let your parent say goodbye to their long-time home at their own pace. In order to increase your chances of a smooth and successful transition, never rush them into moving. Moving out often means downsizing. Allow parents to go through their things to identify the ones that they would like to keep. If they are too many, ask the facility they will be moving into if they have extra storage to hold the things that your dementia afflicted parent will not be using on a regular basis. Start packing as soon as possible and discuss ways of disposing of the items that your parent will not be taking to the residence. One can opt to sell them or even give away to charity if they wish. It is strongly advisable to honor wishes of the parents when it comes to their personal items and belongings. When the day for moving arrives, allow your parent to react the way they want. Some may be ecstatic while others may even show that they are changing their mind. Depending on their stage of dementia, they may not even remember that they are moving to assisted living. Remind them and reassure them that everything will be fine. For the parents who are not too happy on the moving day, comfort them and remind them of the good life that awaits them. It could be telling them that they never have to do any chores or they will never be lonely as they will make friends who are their age mates and will take part in many exciting activities. Before a retiree moves into their living quarters in a memory care assisted living facility, take up furnishing and decorating in a way that the new place ends up feeling and looking like home. The new apartment should already feel like home before they get there. Where possible, ask for input from the seniors so that they end up in a space that is as comfortable as possible. Some of the things that must feature in their new spot include favorite books, photo albums, wall hangings, artwork pieces and photographs of family and friends. Limit new things in their new apartment as it can end up being an overwhelming experience. Unless they ask for it, it is seldom a good idea to buy many new things that they have to learn to use such as fancy coffee makers, large TVs and kitchen sets. It is possible that their new senior living quarters will not have a kitchen, as many dementia care communities exclude kitchens for security reasons. In the beginning, let the aging individuals settle into their new place, learn the new routines, and make friends before they have to deal with too many new things in their lives all at once. Some children may have a great experience taking their parents with dementia to assisted living. Not everyone’s experience is the same, as some things may change just when everything seems to be taking shape. Some senior citizens may get to their new apartment and after a few hours or even days say that they want to go back home or they feel like it is not the right place for them. These things may be very difficult to hear, but keep in mind that they are normal and more often than not, they will only be temporary. With that being said, however, do not brush away your parents’ feelings when they change their minds. Allow them to feel the discomforts and be sure to acknowledge the challenging parts. Listen keenly to their concerns and fears and give them as much support as they need to get through it. If it is a problem with the administration or a caregiver, talk to them personally and get to the bottom of the issue. In the worst-case scenario, you may be starting all over again to find a new and better assisted living facility that lives up to your parent’s expectations. No memory care community scores 100% in regards to perfection. Seniors and their loved ones can generally identify a few things to change to make the facility home. The elders, especially during their first days, may not be able to communicate this properly. It is therefore essential to take some time off and visit as often as possible. It will let caregivers know what your parents like and some of the changes that they would like to see implemented. Let the parent know that they can talk about what impresses him or her in the facility as well as any disappointments he or she may have. Do not visit in a hurry, as it is extremely important to spend quality time with your parent to know how they are fitting in. If possible, make arrangements to spend the entire or most of the weekend. This will give you a detailed look into the day-to-day life in the community. Even when not physically on the property, be sure to communicate with your parent as often as possible. Different means can be used for this including telephone, emails, or social media. Facetime works well because a person can see the parent’s reactions to know if they are happy or not. Some people advocate for the use of sedatives to help moving a parent with dementia to assisted living. It is not necessarily the best approach to use because it may end up doing more harm than good. The medicine can in some cases cause more agitation and confusion. It is better to offer older adults plenty of family support and use non-drug techniques like comfort, pleasant distractions, and reassurance. If one must use medication, get opinion from experts. Some may advise the use of few doses of antipsychotic drugs instead of using sedatives. As hard as the transition process may be for the senior citizen and their family, it is not something that will last a lifetime. When aging individuals finally settle in their new living quarters, they may get really busy with all of the social activities and recreational opportunities. They will spend time bonding with the staff, making new friends, enjoying various social opportunities and enjoying an environment where they are properly taken care of. Your parent may still feel lonely at times but in the long run, they will adjust, and thanks to the concern of their family members they will enjoy better quality life to be comfortable, content and safe in their later years. Although moving a parent with dementia to assisted living can be a daunting task for many, proper planning, and patience can help make the transition a smooth ride for everyone involved.